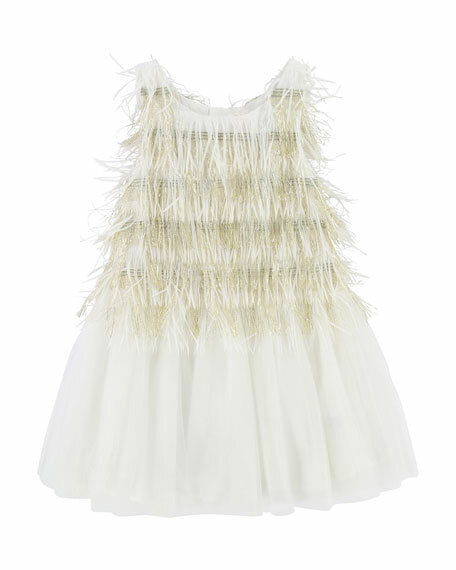 Billieblush tulle and fringe dress with metallic detail. Body and trim 2, polyester. 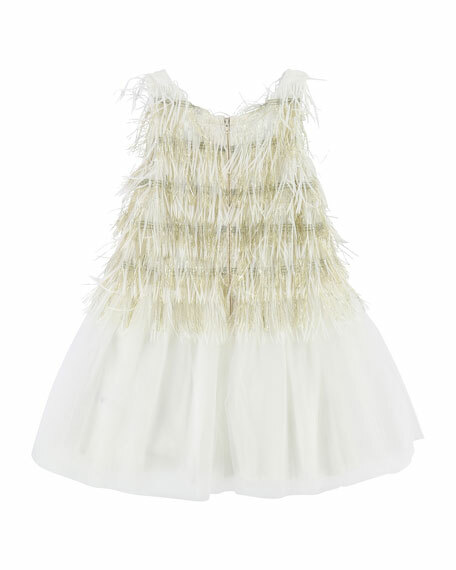 Billieblush caters to your little daydreamer with fresh, romantic, and offbeat designs. Girls aged 0 to 12 years will find a home in Billieblush's girly universeplayful and thoughtful details such as frills, lace, and neon touches are fit for the modern princesses. Your little girl will feel confident in the collection's bettered basics, including skirts, sundresses, coats, and even glittered jeans. For in-store inquiries, use sku #2463551.